It may seem surprising, but the concept of “zero” is actually a relatively recent mathematical innovation. Indeed, the first rudimentary use of a zero-like notation didn’t appear until around 300 BC, when the Babylonians began using a special placeholder symbol to designate the absence of another value in their base-sixty number system. While revolutionary in its own right, the Babylonian null placeholder was still rather limited (for example, it couldn’t be used alone and never appeared at the end of a number), and another millennium passed before gifted Indian mathematicians and astronomers introduced a fully functional “true zero” as part of a formalized system of arithmetic operations. Some 1,500 years later, with this important mathematical foundation finally in place, Apple launched the iPhone on the AT&T wireless network. Are there any parallels in the animal world, any similarly gifted nonhuman mathematicians that have innovated with the concept of zero? The answer seems to be yes: Alex, the male African Grey Parrot of book and movie fame (Alex & Me), may go down in history as the parrot equivalent of Albert Einstein, revolutionizing parrot mathematics with his insight into concepts of nothingness. It was in late 2003, early 2004 that Alex appears to have had his great breakthrough regarding the mathematical usefulness of zero-like concepts. At that time, Irene Pepperberg and Jesse Gordon of Brandeis University, who had been working with Alex over an extended period on a variety of cognitive and communicative studies, decided to conduct some experiments to explore the extent of his numerical competence. Alex already was adept at tests requiring him to identify numbers of objects – he knew the English words for one through six, and could provide accurate verbal responses to questions about, for instance, how many green blocks were included in a mixed array of blue, red and green blocks and balls. Pepperberg and Gordon now wanted to see whether Alex really understood the numbers he was providing and could grasp the interchangeability of numerical questions. To do so, they flipped things around: rather than asking Alex to provide the number of objects in particular groupings as he had in prior experiments, they went in the other direction by asking him to indicate which object groups were associated with a particular number. That is, they presented Alex with a tray of objects of various materials, colors and shapes (for example, six green plastic spoons, four yellow tops and three orange wooden sticks), and asked him questions such as “What color six?” and “What toy four?” Alex’s task was to look at the objects on the tray and then respond correctly (in this case, with “green” based on the six green spoons and “top” based on the four yellow tops). Now, Alex had previously been trained to use the word “none” in a different context – comparing objects for similarity or difference (for example, to respond to a question about which of two identically-sized objects was bigger) – but he had never been taught to use “none” to describe a quantity that was not present. Fascinated, Pepperberg and Gordon randomly interspersed six more “none trials” into the ongoing experiment. It turned out that Alex’s response was no fluke – he gave the correct “none” response in five out of six of these trials, an accuracy rate of 83.3%. How many neutrinos are able to travel faster than the speed of light? How much deep fried batter-covered butter on a stick should you attempt to eat at one sitting (or ever)? How many people are surprised at the fact that dinosaurs went extinct after hearing the Barney the Dinosaur “I Love You” theme song? Pepperberg, I., & Gordon, J. (2005). 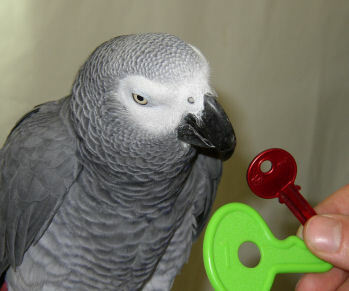 Number Comprehension by a Grey Parrot (Psittacus erithacus), Including a Zero-Like Concept. Journal of Comparative Psychology, 119 (2), 197-209 DOI: 10.1037/0735-7036.119.2.197. Did You Hear the One About the Traveling Salesman and the Bumblebee? The Travelling Salesman must find the shortest route that allows him to visit all locations on his route. Computers solve it by comparing the length of all possible routes and choosing the shortest. However, bees solve it without computer assistance using a brain the size of grass seed. In actuality, the bumblebees’ achievements, while impressive, were a bit more modest than publicized. Bumblebees (Bombus terrestris) do indeed visit flowers in predictable sequences called “traplines,” and the UK research team wanted to learn more about whether these sequences simply reflect the order in which flowers are discovered or whether they result from more complex navigational strategies enabling bees to optimize their foraging routes. Accordingly, the researchers set up an array consisting of four (not hundreds of) artificial flowers, which they introduced to bumblebees in sequence. The researchers observed that over time the bees tended to stop visiting the artificial flowers in their discovery order and, through a process of trial and error, began reorganizing their preferred routes to minimize total flight distance. 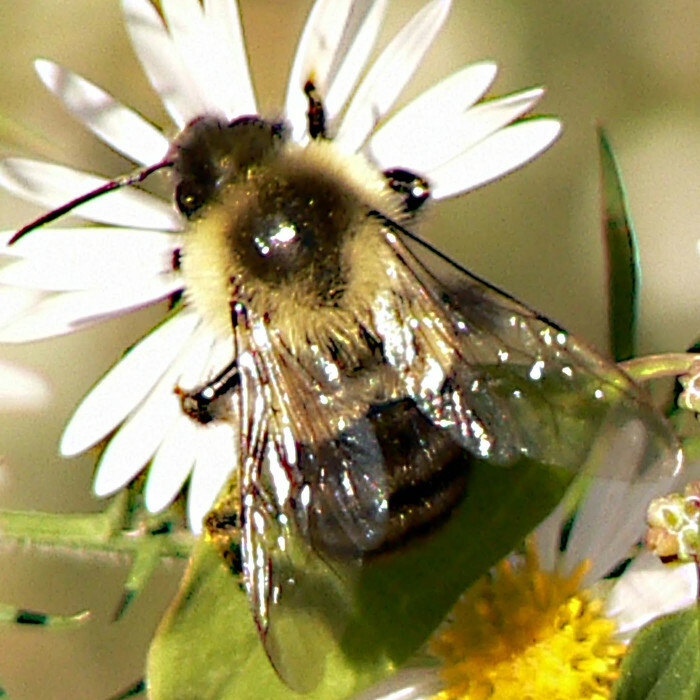 In general, the bumblebees adopted a primary route and two or three less frequently used secondary routes, with the primary route typically being the shortest distance route. The bees also did a (reasonably) good job of remembering the most efficient route after an overnight break. Even though the bees gravitated toward the shortest route, they did continue to experiment with novel routes, a behavior that – the researchers hypothesized – might allow them to fine tune their behavior as new sources of food were found over time. Now, in their research paper5, the UK team did note that the bees’ search to find the shortest path among flowers is analogous to the traveling salesman problem, and did state that “Our findings suggest that traplining animals can find (or approach) optimal solutions to dynamic traveling salesman problems (variations of the classic problem where availability of sites changes over time) simply by adjusting their routes by trial and error in response to environmental changes.” These observations are, however, just a tad less dramatic than the “triumph over supercomputers” celebrated in the popular media reports on the research. So what are the morals of this story? While all too often animals are derided as “dumb beasts” and the like, sometimes we go in the opposite direction, overstating what animals are capable of accomplishing in order to create a sensation. Even without the hyperbole, bumblebee route optimization behavior is noteworthy. There are often multiple ways to solve difficult problems, and sometimes the efficient approaches developed by animals who do not boast large brains can be surprisingly effective. Insects, both in collective groups and as individuals, seem to be particularly adept at finding rational solutions that have an almost mathematical feel to them. Bumblebees can sure generate a lot of buzz. 1Fox News, “Tiny Bee Brains Beat Computers at Complex Math Problems,” October 25, 2010. 2The Daily Galaxy, “Bees Solve Complex Problems Faster Than Supercomputers,” October 26, 2010. 3Natural News, “Bees’ brains more powerful than computers,” October 27, 2010. 4PhysOrg.com, “Complex mathematical problem solved by bees,” October 25, 2010. 5Lihoreau M, Chittka L, & Raine NE (2010). Travel optimization by foraging bumblebees through readjustments of traplines after discovery of new feeding locations. The American naturalist, 176 (6), 744-57 PMID: 20973670. I have bad news for you – a pigeon can probably outperform you in the area of probability and statistics. Yes, that’s right, a pigeon. Suppose you’re on a game show and are given the choice of three doors. Behind one door is a car; behind the others, goats. The car and the goats were placed randomly behind the doors before the show. Before opening the door you’ve picked, the host, who knows what’s behind the doors, must open one of the remaining doors and make you an offer. Accordingly, he opens a door, reveals a goat, and asks you whether you want to stay with your first choice or switch to the last remaining door. Assuming you want a car and not a playful goat, should you stick with your first choice or go for the remaining door? As shown above, a player who stays with the initial Door 1 choice wins in only one out of three of these equally likely possibilities, while a player who switches wins in two out of three. Most people will stay with their initial choice or, at best, express no preference either way. In one high profile case, Marilyn Vos Savant (she of the world’s highest IQ) published the answer to the puzzle in Parade magazine and approximately 10,000 readers, including nearly 1,000 with Ph.D.’s, wrote in to vehemently claim she was wrong. The New York Times2 published a fuller explanation of the Monty Hall problem as well as an entertaining account of the Vos Savant incident and how a large number of mathematicians and other well-educated people refused to accept the correct answer, even after being shown multiple proofs of its accuracy. Each pigeon was faced with three lit keys, one of which could be pecked for food. At the first peck, all three keys switched off and after a second, two came back on including the bird’s first choice. The computer, playing the part of Monty Hall, had selected one of the unpecked keys to deactivate. If the pigeon pecked the right key of the remaining two, it earned some grain. On the first day of testing, the pigeons switched on just a third of the trials. But after a month, all six birds switched almost every time, earning virtually the maximum grainy reward. Every tasty reward would reinforce the pigeon’s behaviour, so if it got a meal twice as often when it switched, you’d expect it to soon learn to switch. Hebranson and Schroder demonstrated this with a cunning variant of the Monty Hall Dilemma, where the best strategy would be to stick every time. With these altered probabilities, the pigeons eventually learned the topsy-turvy tactic. It may seem obvious that one should choose the strategy that would yield the most frequent rewards and even the dimmest pigeon should pick up the right tactic after a month of training. But try telling that to students. Hebranson and Schroder presented 13 students with a similar set-up to the pigeons. There were limited instructions and no framing storyline – just three lit keys and a goal to earn as many points as possible. They had to work out what was going on through trial and error and they had 200 goes at guessing the right key over the course of a month. At first, they were equally likely to switch or stay. By the final trial, they were still only switching on two thirds of the trials. They had edged towards the right strategy but they were a long way from the ideal approach of the pigeons. And by the end of the study, they were showing no signs of further improvement. While we will accept the view of the researchers that this doesn’t prove that pigeons are smarter than humans, we still think that, if you ever have a chance to appear on Let’s Make a Deal, you should consider bringing a real bird rather than a friend dressed up in a giant bird costume. 1Wikipedia, Monty Hall Problem, visited on June 27, 2011. 2The New York Times, “Behind Monty Hall’s Doors: Puzzle, Debate and Answer?,” July 21, 1991. 3Herbranson WT, Schroeder J. Are birds smarter than mathematicians? Pigeons (Columba livia) perform optimally on a version of the Monty Hall Dilemma. J Comp Psychol. 2010 Feb;124(1):1-13. 4Discover Magazine, Not Exactly Rocket Science Blog, “Pigeons outperform humans at the Monty Hall Dilemma,” April 2, 2010.